Lavaglut, German for lava flow, is not an easy name…but 'tis a great rose. 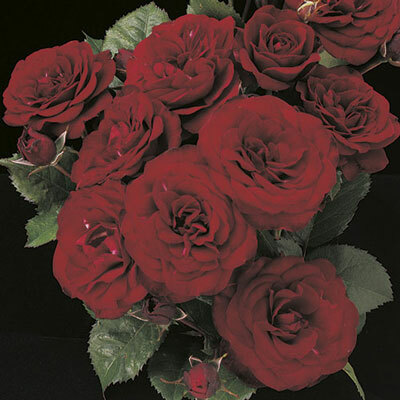 Large glowing clusters of deep velvety red seem to continually 'erupt' from a blanket of glossy green leaves, creating a display that will warm your heart. This import from the Kordes family bears very long-lived ruffled flowers atop a well-behaved upright plant. A proven consistent performer.